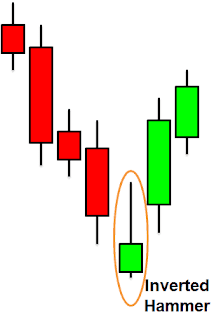 In the terminology of Japanese candlesticks, one candle patterns are known as “Umbrella lines”. There are two types of umbrella lines - the hanging man and the hammer. They have long lower shadows and small real bodies that are at top of the trading range for the session. They are the simplest lines because they do not necessarily have to be spotted in combination with other candles to have some validity. 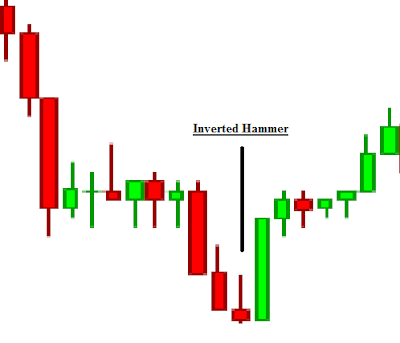 Hammer is a one candle pattern that occurs in a downtrend when bulls make a start to step into the rally. It is so named because it hammers out the bottom. The lower shadow of hammer is minimum of twice the length of body. Although, the color of the body is not of much significance but a white candle shows slightly more bullish implications than the black body. A positive day i.e. 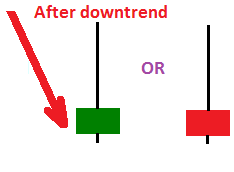 a white candle is required the next day to confirm this signal. 1. The lower shadow should be at least two times the length of the body. 2. There should be no upper shadow or a very small upper shadow. 3. 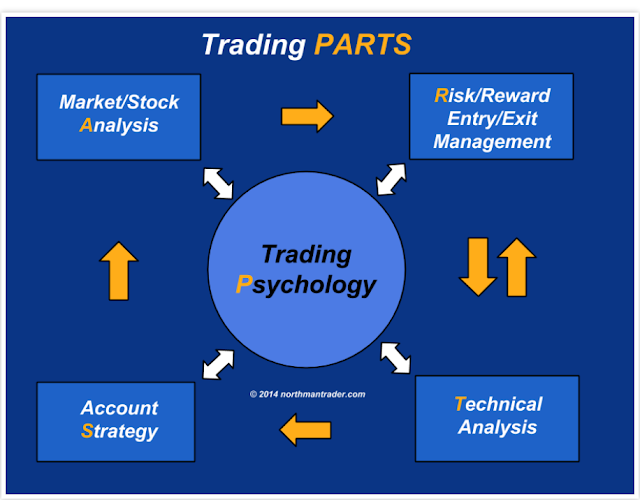 The real body is at the upper end of the trading range. The color of the body is not important although a green body should have slightly more bullish implications. 4.The following day needs to confirm the Hammer signal with a strong bullish day. 1. The longer the lower shadow, the higher the potential of a reversal occurring. 2. Large volume on the Hammer day increases the chances that a blow off day has occurred. 3. A gap down from the previous day’s close sets up for a stronger reversal move provided the day after the Hammer signal opens higher. The market has been in a downtrend, so there is an air of bearishness. The price opens and starts to trade lower. 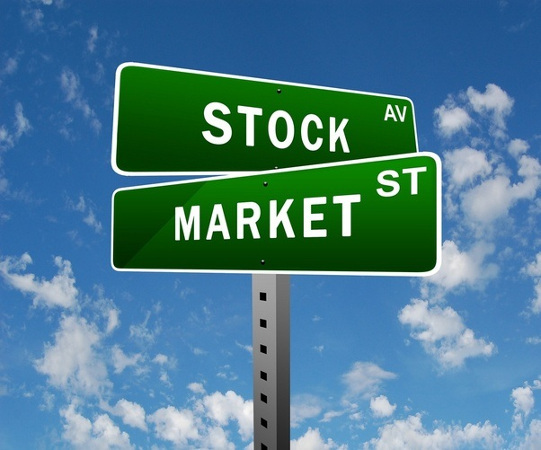 However the sell-off is abated and market returns to high for the day as the bulls have stepped in. They start bringing the price back up towards the top of the trading range. This creates a small body with a large lower shadow. This represents that the bears could not maintain control. The long lower shadow now has the bears questioning whether the decline is still intact. Confirmation would be a higher open with yet a still higher close on the next trading day. The hanging man appears during an uptrend, and its real body can be either red or green. 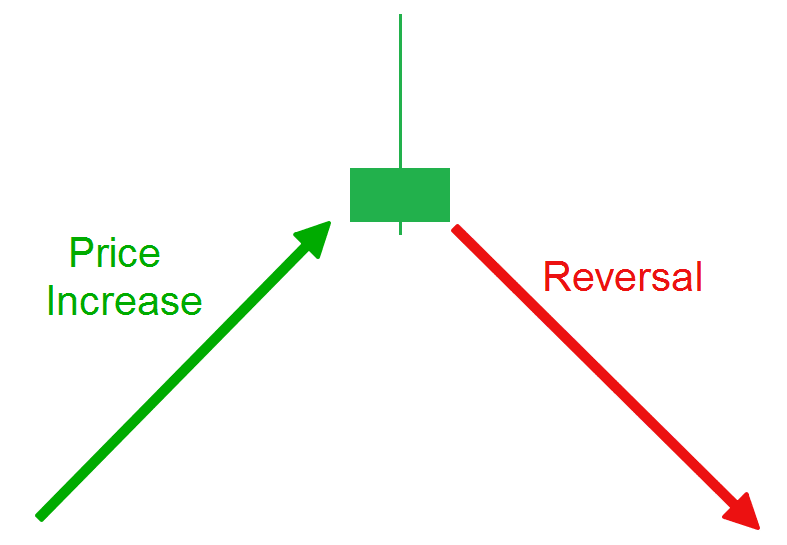 While it signifies a potential top reversal, it requires confirmation during the next trading session. The hanging man usually has little or no upper shadow. Other candles similar to the hanging man and hammer are the “shooting star,” and the “inverted hammer.” Both have small real bodies and can be either black or white but they both have long upper shadows, and have very little or no lower shadows. Inverted hammer is one candle pattern with a shadow at least two times greater than the body. This pattern is identified by the small body. 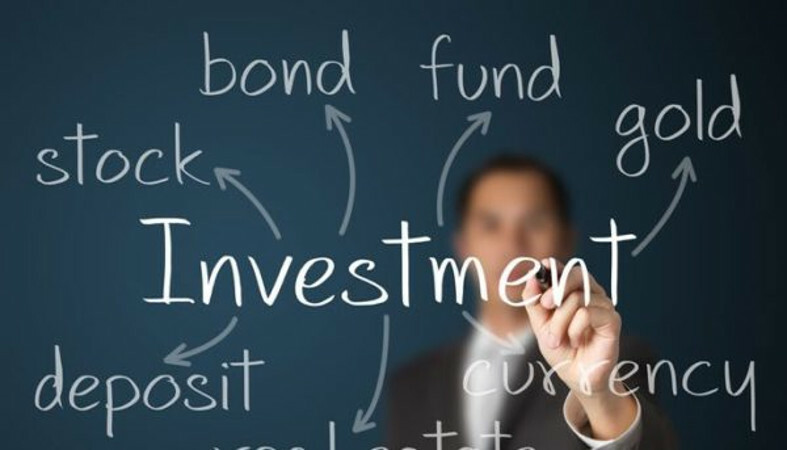 They are found at the bottom of the decline which is evidence that bulls are stepping in but still selling is going on. The color of the small body is not important but the green body has more bullish indications than a red body. A positive day is required the following day to confirm this signal. 1. 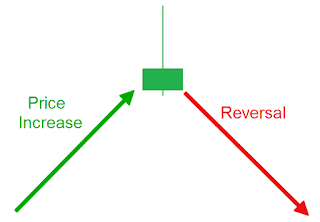 The longer the upper shadow, the higher the potential of a reversal occurring. 2. 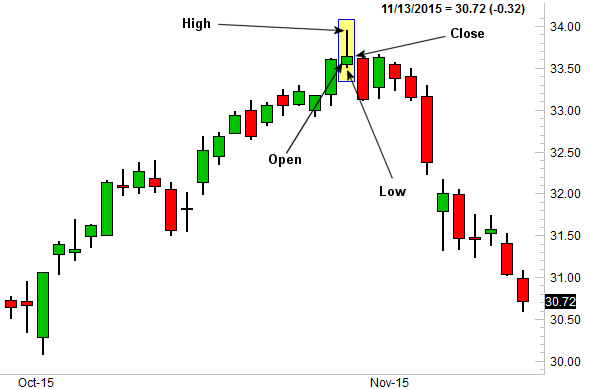 A gap down from the previous day’s close sets up for a stronger reversal move. 4.The day after the inverted hammer signal opens higher. After a downtrend has been in effect, the atmosphere is bearish. 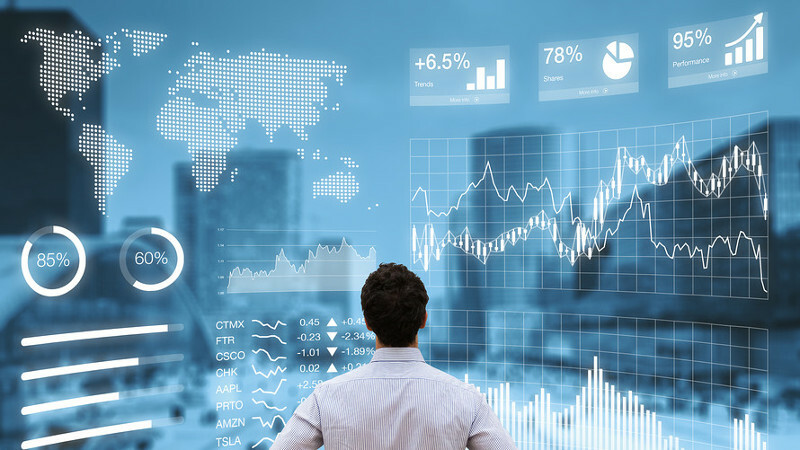 The price opens and starts to trade higher. The Bulls have stepped in, but they cannot maintain the strength. The existing sellers knock the price back down to the lower end of the trading range. The Bears are still in control. But the next day, the Bulls step in and take the price back up without major resistance from the Bears. 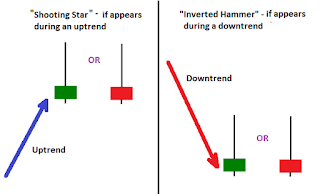 If the price maintains strong after the Inverted Hammer day, the signal is confirmed. A small real body that gaps away from the large real body preceding it is known as star. It’s still a star as long as the small real body does not overlap the preceding real body. The color of the star is not important. Stars can occur at tops or bottoms. 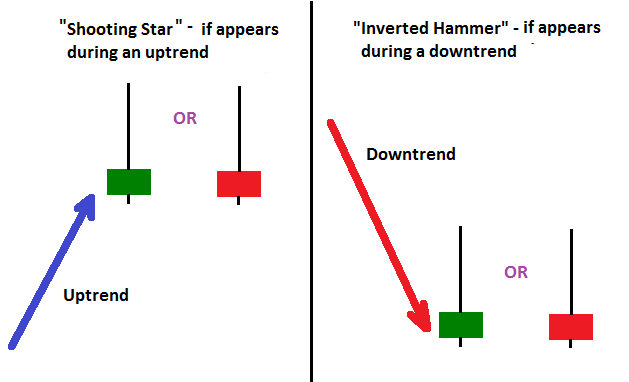 The Shooting Star is a single line pattern that indicates an end to the uptrend. It is easily identified by the presence of a small body with a shadow at least two times greater than the body. It is found at the top of an uptrend. The Japanese named this pattern because it looks like a shooting star falling from the sky with the tail trailing it. 1. The upper shadow should be at least two times the length of the body. 2. Prices gap open after an uptrend. 3. A small real body is formed near the lower part of the price range. The color of the body is not important although a red body should have slightly more bearish implications. 4. The lower shadow is virtually non-existent. 5. The following day needs to confirm the Shooting Star signal with a black candle or better yet, a gap down with a lower close. 2. 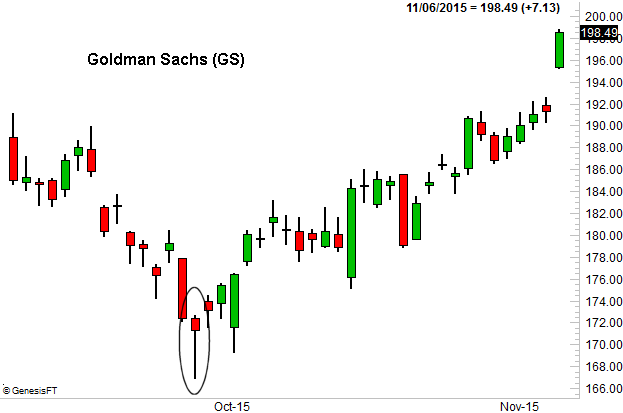 A gap up from the previous day’s close sets up for a stronger reversal move provided. 3. The day after the Shooting Star signal opens lower. 4. Large volume on the Shooting Star day increases the chances that a blow-off day has occurred although it is not a necessity. evidence of the selling was apparent. 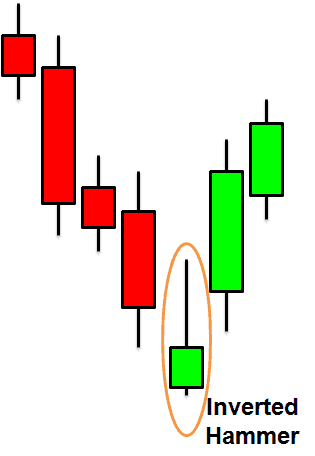 A lower open or a black candle the next day reinforces the fact that selling is going on.